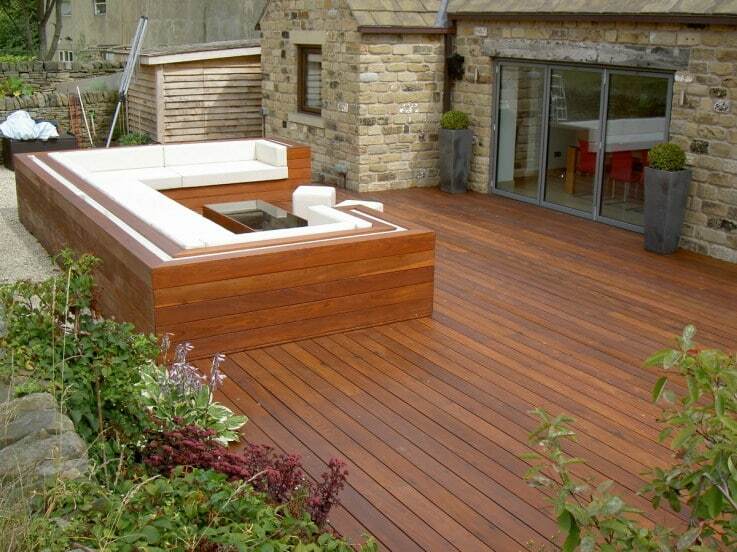 In this week’s post, we are looking into the different ways to protect your decking. Whether it’s new or weathered and for which ever finish you are looking for. In almost all situations we would always recommend treating a brand new deck with a specific new wood protection such as Owatrol’s Seasonite new wood protection. This is because new wood is particularly vulnerable to the damaging effects of moisture transfer during its first year. If allowed to weather naturally with no protection, it is likely to take on and release moisture at an extremely rapid rate. This can lead to warping and splitting. 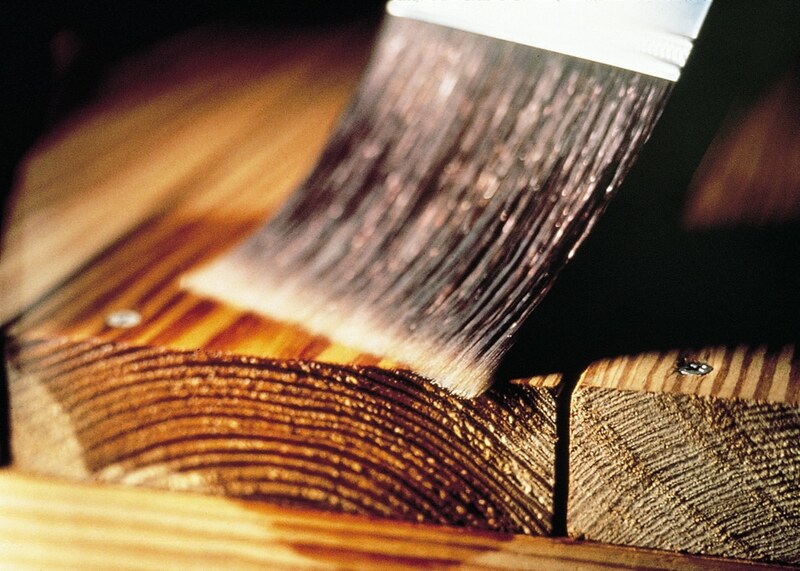 In contrast, if new wood is treated immediately with the majority of wood protection treatments, they will not be able to fully impregnate the wood. Therefore it will not be able to perform at their best. This is because new wood is coated with a hard, shiny substance known as mill glaze. This prevents a finish from entering the wood. Using Seasonite on your new wood is the best option for maintaining the longevity of the wood. After 6-12 months of weathering with Seasonite your deck will be ready to finish in any way you choose. Seasonite is incredibly easy to use. Simply apply it in a single generous coat using a brush, roller or garden sprayer. This will then protect your new wood against damage caused by UV rays and excessive moisture transfer. 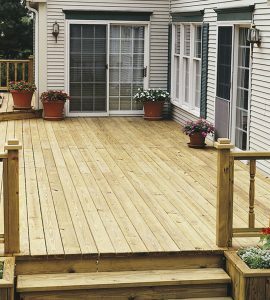 At this point you can then treat your deck with whatever finish you choose by following the process as for weathered decks. 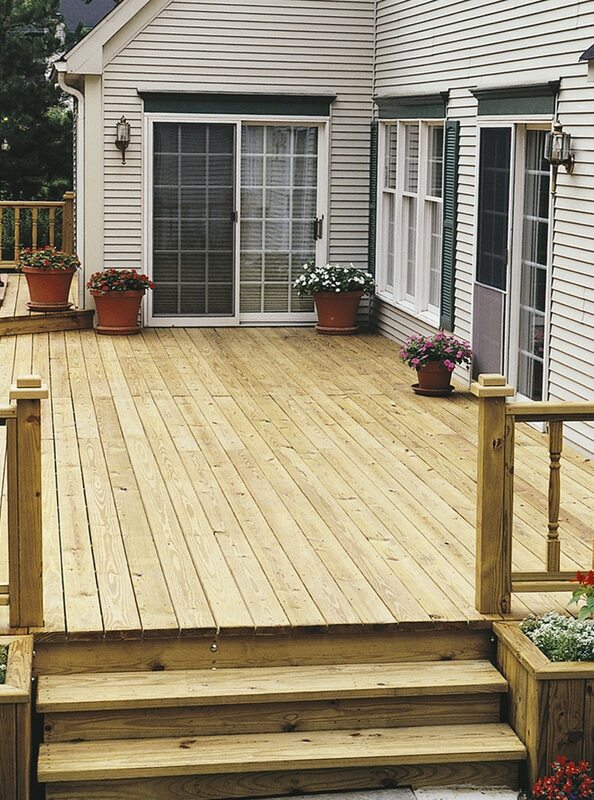 Please don’t be tempted to leave your deck to weather by itself as this could lead to lasting damage due to moisture transfer. This is difficult for the wood to recover from. There is one notable exception to the necessity to use Seasonite on your new deck; That is if you plan to use Deks Olje D1 to finish it. D1 is specially formulated for use on both new and weathered wood and is a saturating wood oil. This means that it replaces the lost oils in your decking from within the wood and doesn’t leave a film so will not peel or flake. D1 is a clear oil which gives a matte finish to enhance the natural beauty of the wood. It enriches and stabilizes the wood to protect it against damage by UV rays and moisture. Why not build in some seating to your deck? In order to use Deks Olje D1 on a new deck you do, however, need to remove the mill glaze to enable D1 to penetrate the wood. To remove mill glaze you will need to strip it away using Prepdeck, our professional high grade stripper. Prepdeck can remove old stains, grade stamps, other surface contaminants and mill glaze. To use Prepdeck to remove mill glaze, you need to wet the surface of the deck then apply the Prepdeck. The easiest way to do this is with a synthetic brush. Allow the Prepdeck to work for 20 minutes, then scrub the area with a stiff brush. Alternatively you can use a pressure washer working in the direction of the grain. After rinsing, the surface should be neutralised with Net-Trol. This is an important step as it will stop Prepdeck from continuing to strip the wood. Then, allow to dry completely before applying Deks Olje D1. For more information about Deks Olje D1 please see the our product page, here. For more information on Seasonite, please click here.